Do you need a robust server for your SMB and remote offices? 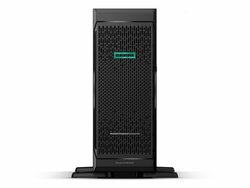 HPE ProLiant ML350 Gen10 Server delivers a secure dual-socket tower server with performance, expandability, and proven reliability making it the choice for expanding SMBs, remote offices of larger businesses, and enterprise data centers. HPE ML350 Gen10 Server leverages the Intel Xeon Scalable processors with up to 71% performance gain and 27% increase in cores , along with the 2666 MT/s HPE DDR4 SmartMemory supports up to 3.0 TB and 11% faster than 2400 MT/s. 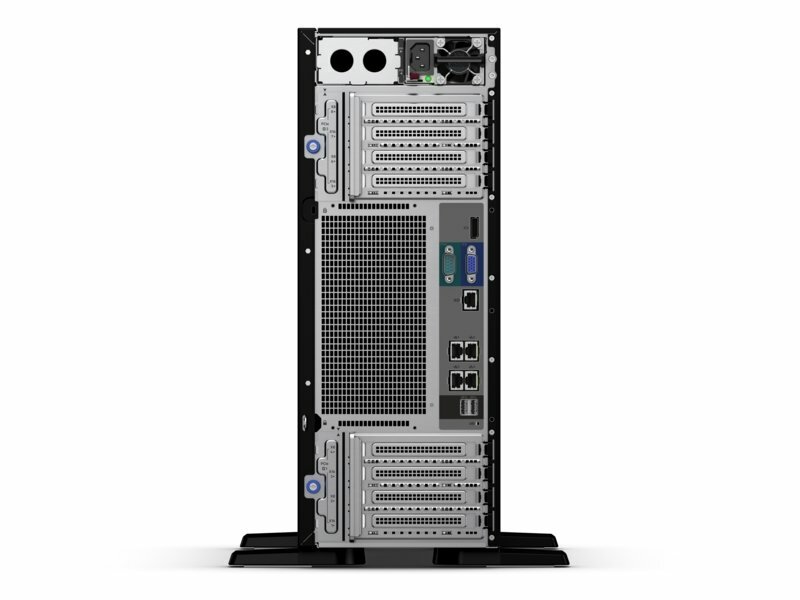 The shorter re-designed rackable chassis with multiple upgrade options provides flexibility that can expand as your business needs grow. 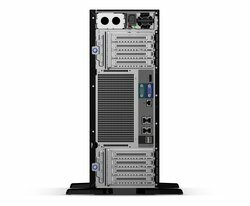 It supports 12 Gb/s SAS, NVMe SSD, embedded 4x1GbE NIC with a broad range of graphics and compute options. Supported by the HPE Pointnext industry-leading service organization and ease of deployment, HPE ML350 Gen10 Server helps you transform to a digital business with more agility and all within your limited IT budget. Support for Intel Xeon Scalable processors – full stack. 2600 MT/s HPE DDR4 SmartMemory RDIMM/LRDIMM offering 8, 16, 32, 64 or 128 GB. Build a fully functional server with ClearOS™ Software from HPE that is just right for you at no upfront cost. For more information, check the ClearOS link on the right. 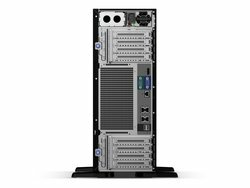 HPE ProLiant ML350 Gen10 supports up to two Intel Xeon Scalable processors, starting from Bronze through Platinum, 4 cores expanding up to 28 core processors offering unparalleled performance. Up to 24 DIMM slots to support the 2600 MT/s HPE DDR4 SmartMemory, reducing data loss and downtime with the HPE Gen10 technology licensed Fast Fault Tolerance feature while increasing workload performance and power efficiency. HPE ProLiant ML350 Gen10 delivers expandability with a wide range of drive upgrade options. Supporting 8 to 24 SFF or 16 SFF when mixed with optional 8 NVMe PCIe solid state drives, 4 to 12 LFF hot plug or non-hot plug drive options protecting your IT investment in hybrid environment. Large expansion capacity with (8) PCIe slots, (6) USB ports, 5U rack conversion, and power supply options. Embedded 4x1GbE and the choice of PCIe standup 1GbE, 10GbE or 25GbE adapters provide you the flexibility of networking bandwidth and fabric so you can scale and adapt to different needs as your business grows. 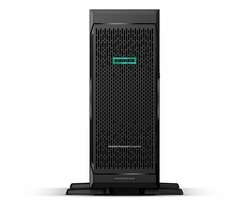 HPE ProLiant ML350 Gen10 is one of the HPE industry standard servers with major firmware anchored directly into the silicon security protection built in across the server lifecycle starting with Silicon Root of Trust. Millions of lines of firmware code run before server operating system boots. With Runtime Firmware Validation, enabled by HPE iLO Advanced Premium Security Edition, the server firmware is checked every 24 hours verifying validity and credibility of essential system firmware. Secure Recovery allows server firmware to roll back to the last, known-good state or factory settings after detection of compromised code. The HPE ProLiant ML350 Gen10 comes with a complete set of HPE Pointnext services, delivering confidence, reducing risk, and helping customers realize agility and stability.